Drop Lift Wall Rack - GS Direct, Inc. 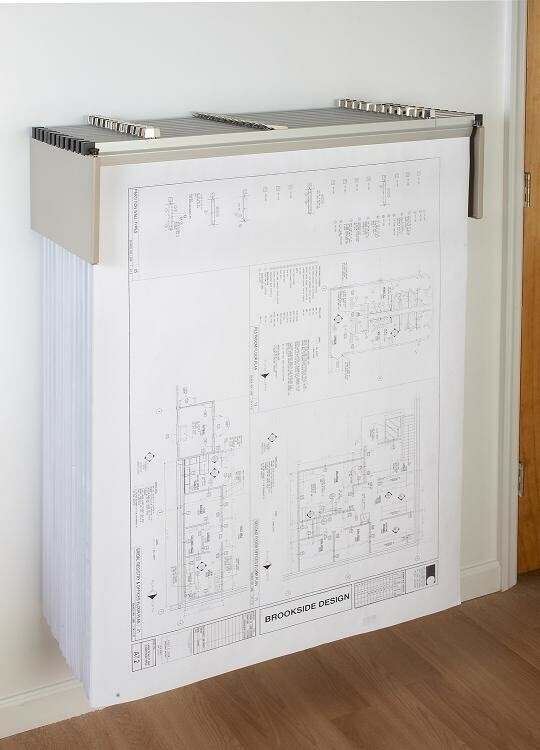 Provides compact drop-lift storage for 12 clamps (sold separately) from 18” to 42” long and sheet sizes to any length. Clamps lift out and drop in for easy access. Extends 15” from the wall – ideal where space is limited. Maximum capacity 1200 sheets. Finished in a durable sand beige powder coat finish.